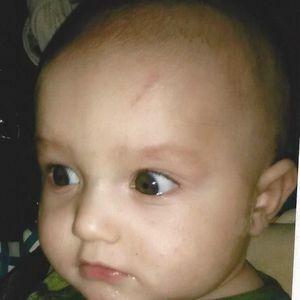 BEECH CREEK- Isaiah Zackary Joines, 7 months, died Friday, April 27, 2018 at his residence. Baby Joines was born in Hopkins County on September 23, 2017. He is preceded in death by his brother, J.R. Joines. Survivors include his parents, Donald and Heather Joines; brothers, Landon Smith, Gabriel Joines, Daniel Joines, Matthew Joines; sisters, Katrina Pike, Chelsea Kinser, Panda Allen; grandparents, Donald and Oretha Joines, James Smith, Beverly Moore. Graveside services will be held Sunday, April 29, 2018 at 2:30 PM at Union Ridge Cemetery in Belton. Visitation will be held Sunday, April 29, 2018 at 1:00 PM at Tucker Beechmont Funeral Home. Online condolences can be made at www.tuckerfuneralhomes.com. The beautiful and interactive Eternal Tribute tells Isaiah 's life story the way it deserves to be told in words, pictures and video. Beverley and Heather I can't make it up to say goodbye to this precious baby boy but want you all to know that the family is in my prayers. My heart is breaking for you all I promise my next trip up will stop by love you all..